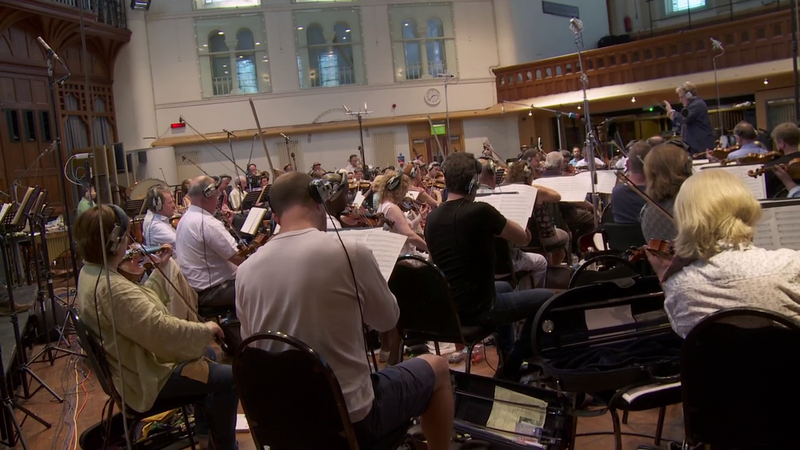 Thanks again to a UMG press release booklet, new details on the Mockingjay - Part 1 score album by James Newton Howard have surfaced. The album is set to be released on November 24 by Universal/Republic Records. Highlighted is the score for 'The Hanging Tree' scene, which features an acapella performance by Jennifer Lawrence as Katniss, with the melody written by The Lumineers. In the film, "The Hanging Tree" starts as an a capella performance by Katniss (Jen Lawrence). She is joined first by birds (Mockingjays), then groups of rebels as the song morphs more into score. James adds choir and orchestra and it builds to an amazing crescendo with an enormous action shot. It is a huge musical moment in the film. This track will be featured in the end credits too, coming in after 'Yellow Flicker Beat'.